The TASKalfa 3511i black and white MFP brings impressive performance to power your document needs. 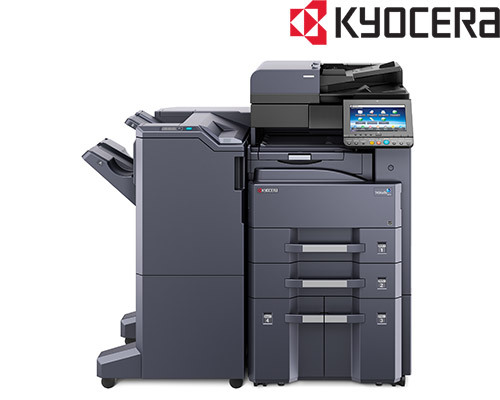 Print, copy and color scan capabilities, along with advanced finishing options, deliver fast, professional output. A customizable 9″ color touch screen offers easy access directly from the MFP to a wide array of flexible features and business applications to optimize workflow, while wireless and remote access capabilities ensure vital information is easily retrievable no matter where your business takes you.